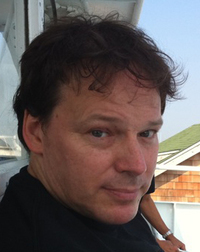 David Rolfe Graeber is an American anthropologist and anarchist. On June 15, 2007, Graeber accepted the offer of a lectureship in the anthropology department at Goldsmiths College, University of London, where he currently holds the title of Reader in Social Anthropology. He was an associate professor of anthropology at Yale University, although Yale controversially declined to rehire him, and his term there ended in June 2007. Graeber has a history of social and political activism, including his role in protests against the World Economic Forum in New York City (2002) and membership in the labor union Industrial Workers of the World.